Apple has released a new “Shot on iPhone” video with Megadeth Soundtrack. The display of the current MacBook Air 2018 hasn’t been characterized by high brightness yet. Apple has now changed this via software. Apple has released some new clips that emphasize the benefits of the iPad Pro. The new copyright law in the EU (formerly Article 13, now 17), which has been viewed critically by many, has now also been given green light by the EU Council. Netflix is raising its prices with immediate effect. As you know, geoblocking filters are spreading, i.e. 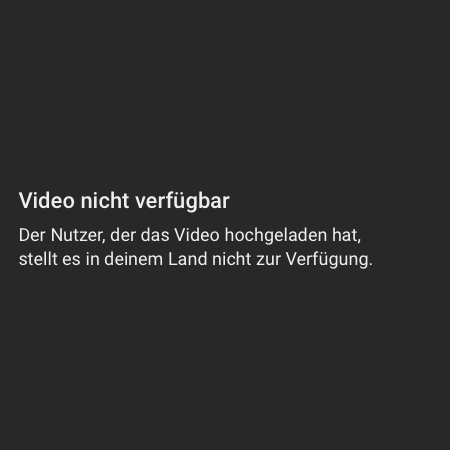 excluding certain countries from a video on YouTube. That’s annoying, but at least it’s displayed. Now there are also hidden videos that are not even listed. We’ll show you a way to find them.